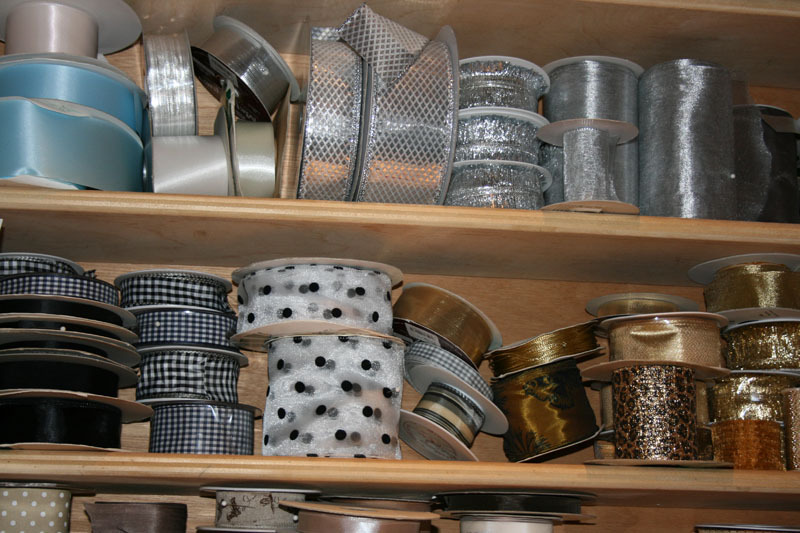 I love ribbons. Little snippits of fabric. 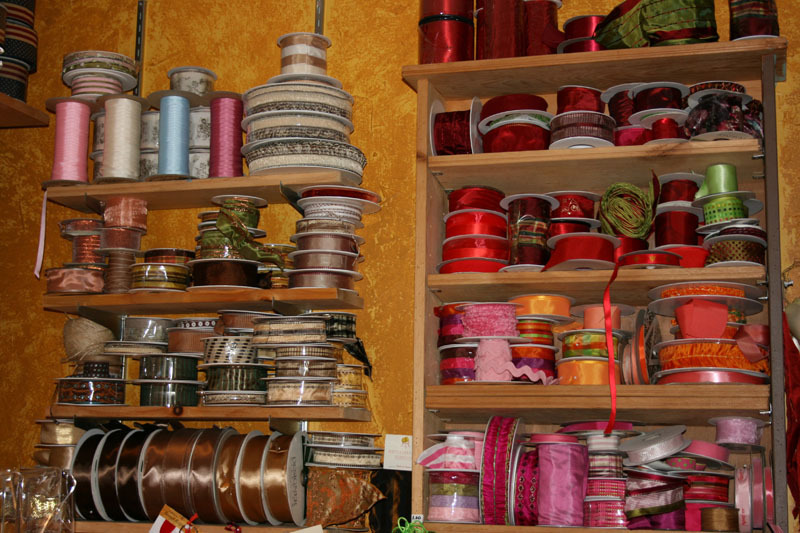 I see these spools and I just want to buy them. All of them. I have no idea what I will do with them but they holds such possibilities. I could put in them in my hair! NOT. I could wrap presentsor I could just have it sit on a shelf like this. 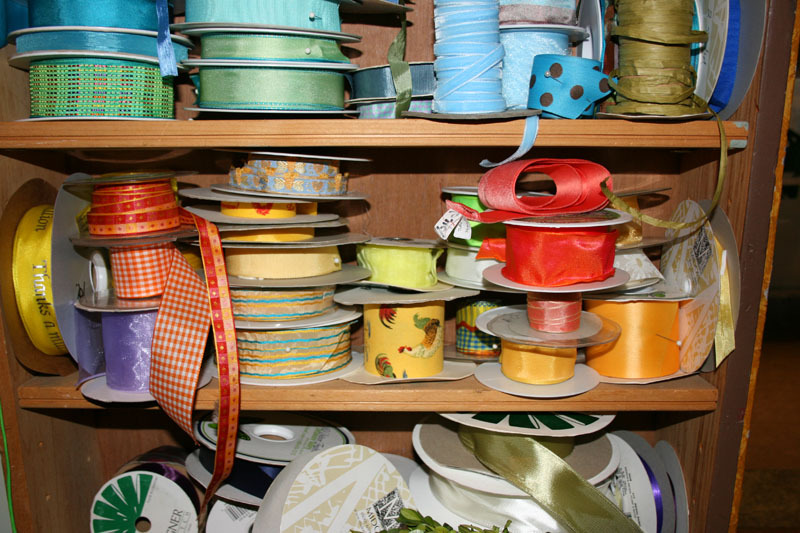 This is not my colection of ribbon, it belongs to B. King. She actually does use it for gift wrapping and around plants and such. It all looks so fabulous just sitting on the shelf, doesn’t it? When a gift is wrapped in ribbon it looks so much more special. It’s that Tiffany Blue Box syndrome. What’s inside is imporant – but the outside presentation is also very important. I could give you a nice silver necklace in a paper bag- but the same silver necklace in a little blue box with the ribbon – aaahhh priceless. You know you love it when the gift is all wraped up like a little party dress. There could be candy bar in there and you would be happy. On the other hand – the gift wrapped in the Target plastic bag it left the store in – somehow just doesn’t cut it. Even if it has 20 candy bars in it. So remember- presentation is key. 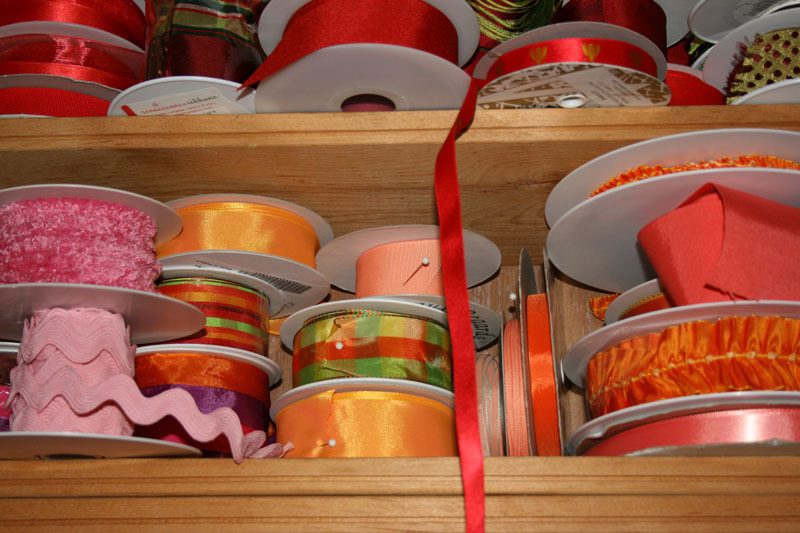 So make someone happy with your special gift wrapping this season. Make those gifts look fabulous! 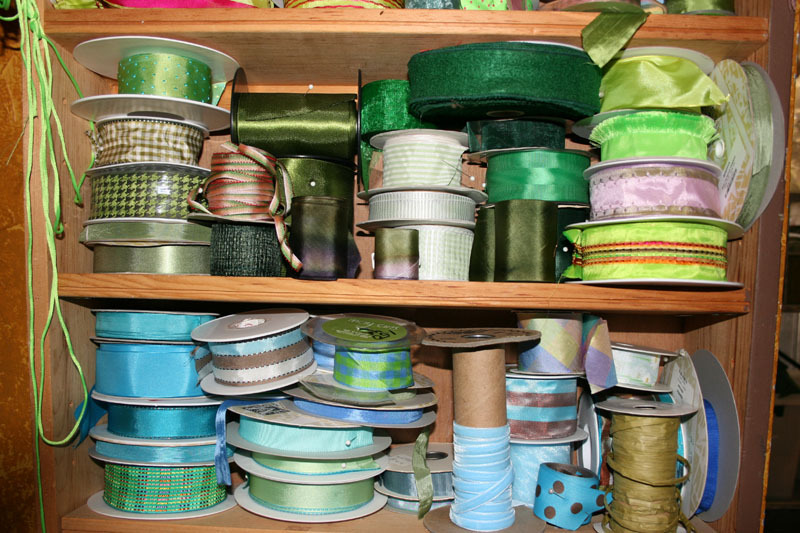 Need some cool ribbon. Check out MJ Trimming on line. I like the one with the chickens on it if you are wrapping one for me. Just a suggestion!